I only have two nephews. They are cousins, born two years apart and by pure chance their birthdays are on the same day! I share a birthday with a cousin and joint birthday parties growing up were the best. 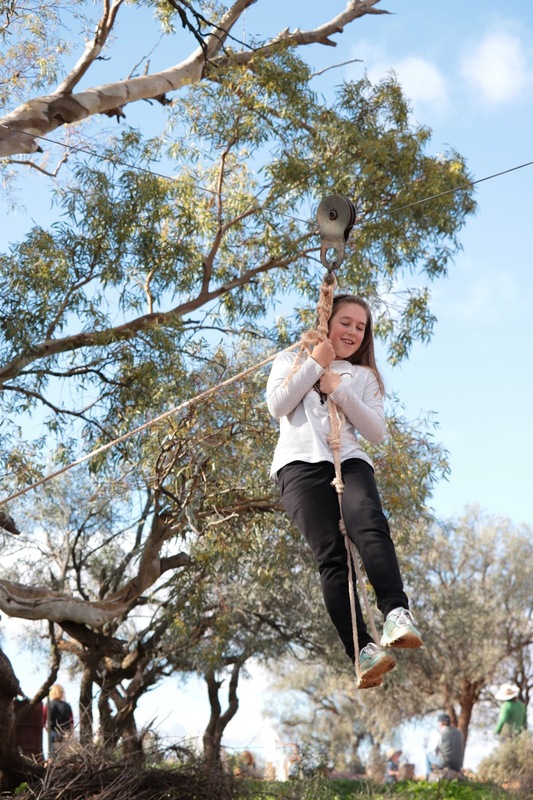 We were lucky enough to be invited to join in the bush birthday celebrations on the weekend and what better excuse to pull the boots out of the cupboard, leave behind the weekend sporting schedule and head out of town. feasting...this is the hand of experience in the roasting of lamb! This was the perfect weather for roasting marshmallows in the great outdoors and a great way to celebrate a couple of special birthdays! Oh Kate - stunning photographs and it looks like a great celebration. My birthday's at Christmas so - growing up - it was hard to celebrate with anyone but family as friends were usually away! Yes holiday birthdays are difficult! How awesome is your bush flying fox. We've had an idea to make one but never got around to it. Beautiful photos of their celebration Kate. Thanks for linking up Kate. That is a great way to spend a joint birthday weekend. Look like fun. The lamb looks delish. Sounds perfect Kate! I've always had my birthday all to myself, so I have no idea what it would be like to share. One of my sister's birthdays is only a month earlier than mine though (2 years and a month, obviously) and that always seemed close enough.